Point2 Homes gives you far more than a simple list of houses for sale. Get instant access to a lot of relevant information about Milton, ON real estate, including property descriptions, virtual tours, maps and photos. The search results pages also have a wealth of information on Milton, ON, if you scroll all the way down. There are 298 houses for sale in Milton, ON. 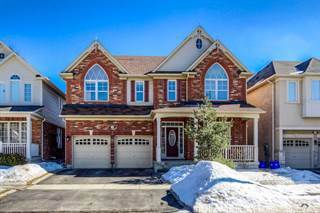 Searching homes for sale in Milton, ON has never been more convenient. With Point2 Homes, you can easily browse through Milton, ON single family homes for sale, townhomes, condos and commercial properties, and quickly get a general perspective of the real estate prices. Also, you’ll never miss a bargain if you filter listings based on house price drops in the past six months. 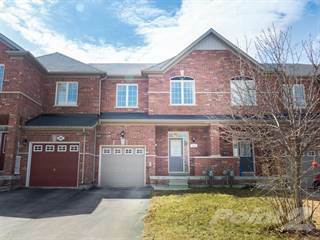 Use the map view to find Milton, ON homes and apartments for sale, based on amenities or city features that you may want close by. You can close in on a specific neighbourhood or area by simply drawing around them with the polygon or radius tools. Stay informed about the latest entries on the real estate market by saving your searches. This way, you get new listings in your inbox, daily or every week, based on your preferences. If you’d like to get in touch with a professional, agents are displayed next to their listings, and they’re easy to contact through the online forms. If you want more options, you can click the Tools tab and Find an Agent, and you’ll get a list of helpful and knowledgeable real estate agents in Milton, ON. Visit the Point2 Homes blog and you can find up to date expert advice on many markets throughout Canada, regular market reports, neighbourhood scoops in cities throughout the provinces, real estate deals and useful recommendations. Milton, located in Southern Ontario, is one of Canada’s fastest growing communities. Nestled alongside the Niagara Escarpment, and around 40km west of Downtown Toronto, Milton is a great city for commuters due to its good transit links and affordability. The town has easy access to cities such as Mississauga, Hamilton, Oakville, Burlington, and of course Toronto. Boasting an old-town feel mixed with urban life, Milton is a thriving hub offering a pleasant lifestyle, beautiful surroundings, and a great setting for families. In 2012, the median age was 34 years old, largely attributed to an influx of young couples and families over the years. Milton has plenty of fresh air, areas to explore, and a number of recreational activities, so it’s perfect for those seeking an active lifestyle with urban access. A number of company head offices are located in Milton and have a strong employment presence, including Manheim Auto Auctions, Whirlpool Canada, and Lowe's. The area saw a 71% increase in population between 2001 and 2006 and the population is set to rise dramatically over the coming years. This is largely due to rise housing prices in Toronto, which is pushing residents to areas such as Milton. Milton has a warm and temperate climate, with temperatures hitting the mid-20s in summer, and around -6°C on average in the winter. Milton also receives a fairly high level of precipitation throughout the year. The city promotes diversity and multiculturalism and has a fairly large South Asian population. The majority of Milton is Christian, however, there is a largely Muslim, Hindu and Sikh community. Milton has a number of recreational activities, including campgrounds, conservation parks, and trails. Popular activities include hiking the Bruce Trail, and skiing and snowboarding at the Glen Eden Ski & Snowboard Centre located in the Kelso Conservation Area. Milton also has a raceway, a sports centre, a great cycling practice facility, and a natural training ground for mountain biking and road cycling due to the Niagara Escarpment. Milton has an active sports scene and is known for the Milton Icehawks, a Junior “A” hockey team, and youth basketball club, The Milton Stags. Milton hosts a number of local events, including the Steam-Era on Labour Day weekend, the Milton Fall Fair, and a summer farmers’ market that operates weekly. Milton has an active sports scene and is known for the Milton Icehawks, a Junior “A” hockey team, and youth basketball club, The Milton Stags. Milton hosts a number of local events, including the Steam-Era on Labour Day weekend, the Milton Fall Fair, and a summer farmers’ market that operates weekly. Milton has a number of great neighbourhoods, each with their own distinctive feel and charm. Offering a lovely sense of community, Beaty is a great neighbourhood for families and has a range of homes, including townhouses, and large detached properties. The area is also located in close proximity to amenities such as parks, shops, and restaurants. With a quaint and mature feel, Dorset Park is popular among those who are seeking a bit of peace and quiet. The neighbourhood has easy access to shops, GO transit, fitness facilities, many park areas and a strong community vibe. Since it’s the closest neighbourhood to highways and transit links, Dempsey is sought after by commuters. Residents can enjoy a number of nearby amenities, such as Milton’s shopping mall, a movie theatre, library, green spaces, and the Living Arts Centre. Also known as the “New Milton”, Clarke is very family-oriented and has plenty of areas for kids to play. Centred around parks and good schools, Clarke is located in close proximity to the highway and transit links, and is a very pleasant area. With tree-lined streets, bike paths, wooded areas, and larger plots of land, Timberlea offers a community feel and is perfect for those seeking a suburban lifestyle with easy access to transit and amenities. The area has a mix of condos and luxury properties, and is also home to E.C. Drury School for the Deaf. If you’re looking for a historic neighbourhood, Old Milton is for you. This charming historical area is just steps from Downtown, but offers a quaint feel with farmers’ markets, small boutiques, parks, bistros, and a very relaxed atmosphere. Here you’ll find war-time homes and large characterful properties. Based around parks, sports clubs, and a stunning backdrop, Bronte Meadows is great for those seeking an active lifestyle or who want easy access to Downtown. Milton Hospital is also located in Bronte Meadows. There are 5 schools that service the area. With great views of the Niagara Escarpment, Scott offers plenty of green spaces and is a beautiful neighbourhood with many newer single-detached homes. Many homes in Harrison have unobstructed views of the Niagara Escarpment, and it’s soon to be home to the planned University campus. Surrounded by nature, Harrison is a lovely community with great amenities. Centred around recreational activities, Wilmott boasts 7.2 acres of park land and has a gym, hockey rink, beach volleyball, tennis club, and plenty of other facilities. This is a great area for families and has access to a number of schools. Coates is a desirable neighbourhood with several parks, bike lanes, shops, and easy access to the highway for commuters. Milton’s French Immersion School is also located here. Milton’s real estate market is growing rapidly, largely due to its growing population and desirable lifestyle. The city’s airport access links to Toronto, and abundance of outdoor recreational activities make it a very attractive place to live. Milton is definitely a good place to invest in real estate, and it’s perfect for commuters or for those seeking an active yet urban lifestyle. As more people are moving out to Toronto’s suburbs, housing prices are beginning to rise. Milton saw a sharp increase in house prices over the last year, which is set to continue as more people move to the city. 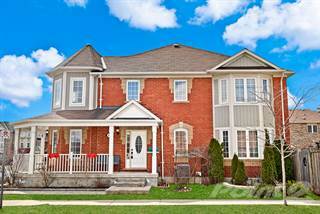 The median price for a home in Milton is around $647,000. Milton has a number of public elementary and secondary schools, including Catholic schools and several private institutions, as well as a school for the deaf. E.W. Foster PS in Timberlea has been ranked as one of Milton’s best public schools, and it’s also well known for its French immersion program. Escarpment View public school is also ranked very highly, along with Anne J MacArthur public school and Chris Hadfield school, which is located between the 401 and GO station, so a convenient location for those who commute to work. Milton is currently engaged in a project called the Milton Education Village, with a goal to bring post-secondary education and a university campus to the city.